Forests cover 590 million hectares of land in Asia, with high biodiversity and supplying multiple ecosystem services to human society. Meanwhile, the influence of global warming becomes apparent, and extreme weather events frequently occur in the region, posing threats to the forest ecosystems and serious damages to people's lives. To sustain, conserve, and manage Asian forests, it is an important and urgent challenge to understand long-term environmental and ecosystem changes in the forests and to provide robust scientific knowledge on how the ecosystems respond to those changes. For forests, detection of environmental changes and ecosystem responses requires baseline datasets based on long-term (e.g., 101 - 102 years) observations. University forests, which refer to large forested areas owned or controlled by universities and devoted primarily to research and teaching programs in forest-related sciences, have been collecting, managing, and analyzing long-term data of meteorological, hydrological, biological, and geographic information under an organizationally stable observation system. We invite authors to contribute original research and review articles regarding the latest scientific findings from university forests in Asian countries towards the realization of adaptive forest management and conservation based on comprehensive understanding of environmental changes and ecological responses. 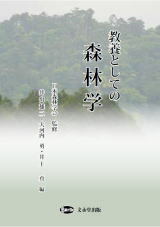 The Editorial Board of the Journal of Forest Research is proposing a special feature entitled, "Long-term monitoring and research in Asian university forests: towards further understanding of environmental changes and ecosystem responses." The aim is to disseminate various long-term data and research results from university forests in Asia. All manuscripts must be submitted by the end of September 2019. For further information, please contact Dr. Owari ( ).